Ginger has long been on the top of the list of super foods. For one thing, this root has powerful anti-inflammatory, anti-septic and anti-cancer properties, which makes it a great addition to a healthy well-balanced diet. Abundant in vitamin C, magnesium and other vitamins and minerals, ginger can improve your health on many different levels. One of the most valued benefits of this root vegetable is its ability to improve digestion and immune system function. Plus, its anti-inflammatory effects are extremely beneficial in relieving pain and fighting cardiovascular diseases, asthma and other health problems. 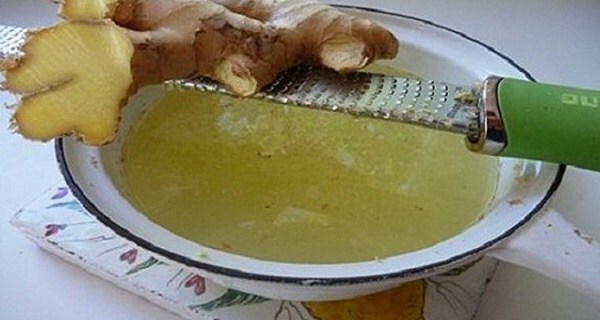 A cup of freshly brewed ginger tea is the best medicine against common colds and viruses. Although you can use ginger in many forms – fresh (grated), powdered or as over-the-counter supplement, its pungent taste is something many people have difficulty to put up with. But, ginger tea is a different story. You get the same health benefits, only reinforced because you add turmeric, coconut milk and raw honey. Plus, the taste is much more bearable. Owing to its high antioxidant content, it fights infections and improves your immune system response. It works wonders against viral infections, flu etc. Thanks to its thermogenic properties, ginger tea is highly efficient in improving circulation as well as oxygen and nutrient supply to all cells and tissues in the body. Its anti-inflammatory effects are beneficial for relieving joint and muscle pain as well as headaches. Regular consumption of ginger tea significantly reduces the risk of stroke. Start by boiling the water, then add the turmeric and ginger. Let simmer for 7-10 minutes. Remove from heat, then add the milk. Strain the tea. Add raw honey to taste when it cools a bit.